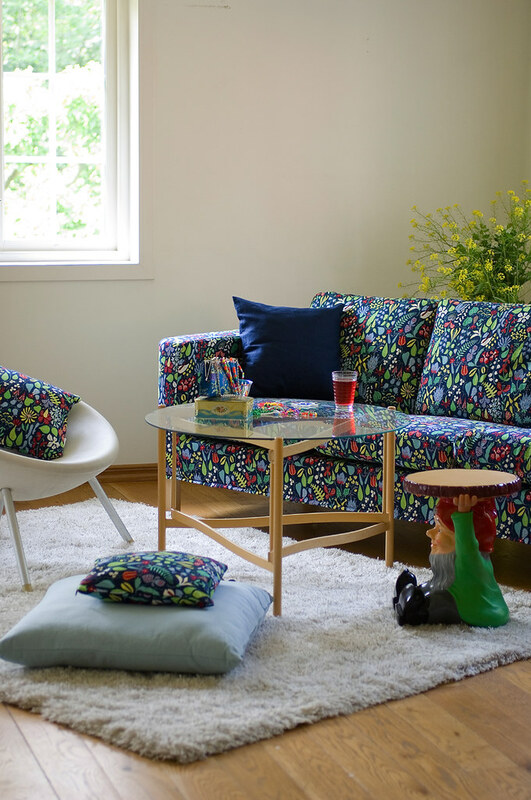 Time for a little Bemz-spiration.I've talked about Bemz a few times here, they carry slipcovers that fit IKEA sofas and chairs so that you can customize your IKEA finds turning them into something more personalized. 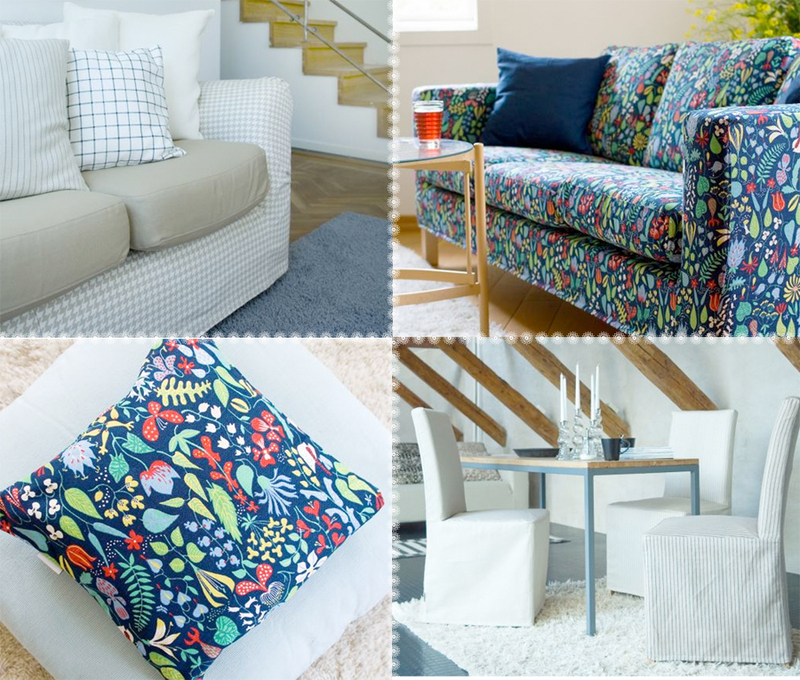 They just launched a section on their site called "Lifestyles" where you can view different collections of Bemz' fabrics in real homes. 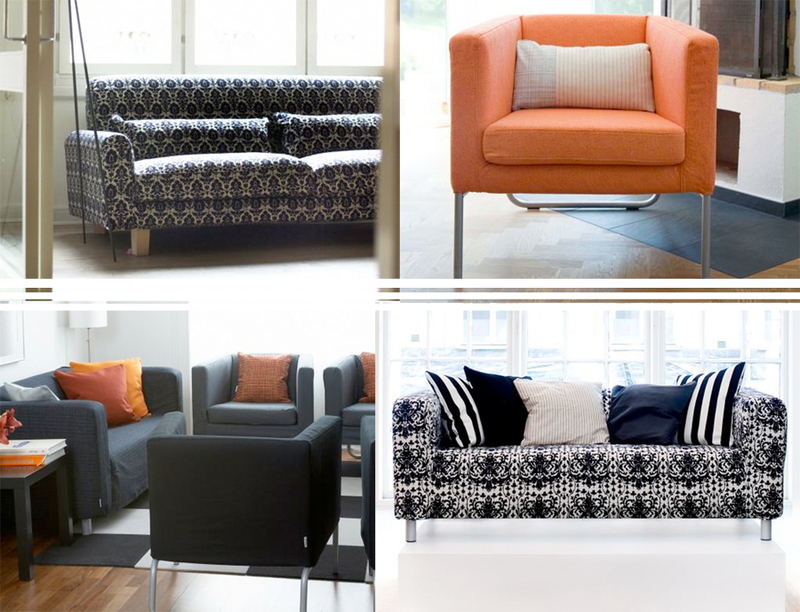 Seeing some of their fabrics living in a real environment is really helpful. Currently there are 6 Bemz Lifestyles and more will follow later this year. This is my favorite of all the rooms. I'd have a little more in this space (a rug, a few chairs, etc. ), but I really the cool colors and the mixing of florals with stripes in a way that looks very stylish, like a fashion designer would live here. I found their break down of the various styles they're trying to mimic helpful since we often try to define our look to friends and don't know what to call it, there are so many styles and definitions floating around. As I look at these definitions along with the Bemz images I realize that they are based purely from a Scandinavian perspective, as they're Stockholm-based and this is their own take on these looks. In other words, I don't think Country Romance or Downtown really looks like the typical country or downtown style that we'd see here in America. Fun exercise: As you read through their definitions below, examine the images shown as examples and consider how each style would be interpreted in your part of the world. 1. 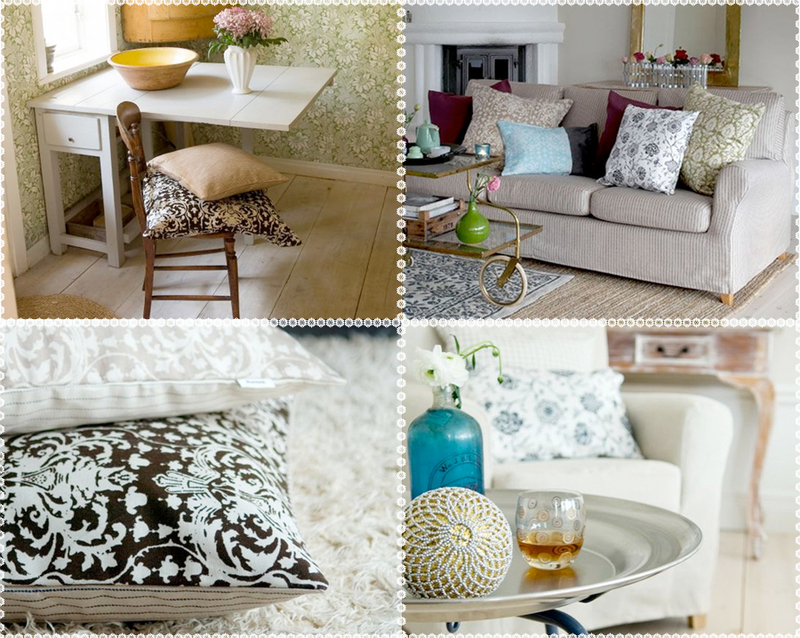 Bohemian Chic - Aimed at people who love combining old and new to add unexpected contrasts to their home. 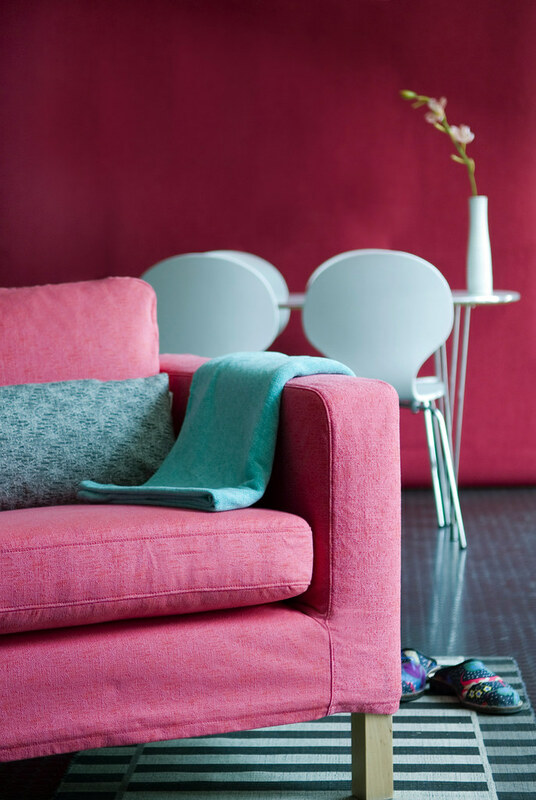 This Lifestyle employs a palette of dark, intimate colors, with elements of brown, mauve, black and pink. 2. Country Romance - Is Bemz's modern interpretation of a delightful past: elegant and graceful, romantic and playful, while not coming across as cute. 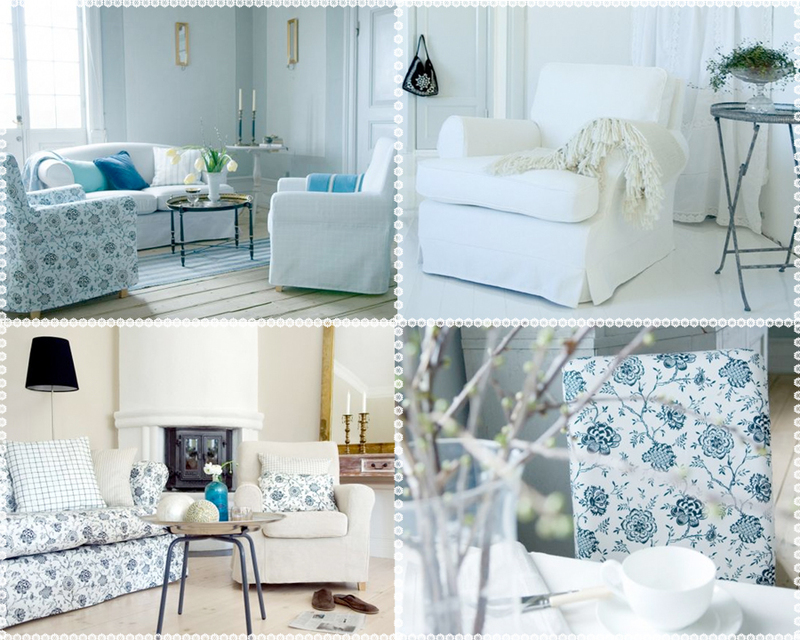 Shades of white anchor this Lifestyle, thoughtfully blended with pale pastels, gentle florals and muted checks. 3. Downtown - This look pays tribute to city slickers, people who are energized by the skyscrapers and pulse of a big city. Downtown draws from an urban palette of black, grey and white, combined with discrete patterns and bright accent colors. 4. Nordic Home - Embodies a clean, simple and harmonious backdrop for the changing seasons that can be highlighted with materials such as cushions and curtains. This 5. 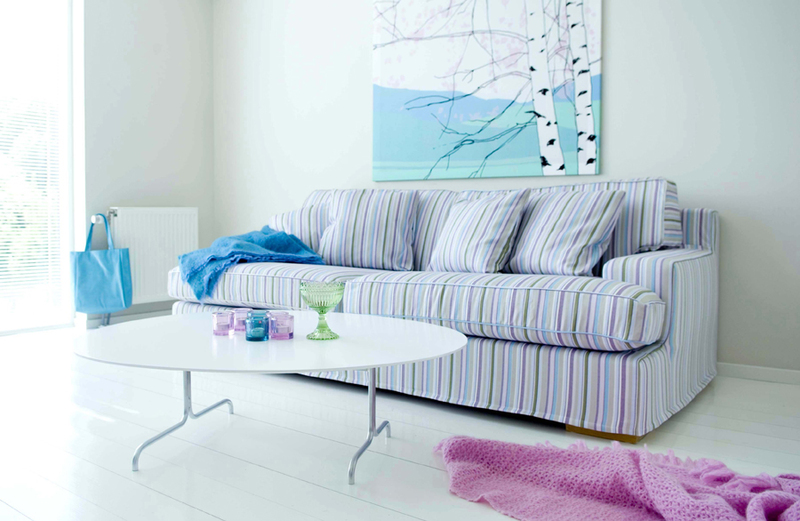 Lifestyle features some of Bemz' distinctive Scandinavian patterns. 5. Playground - For those homes where the walls are white and it's the furniture and art projects that add color. 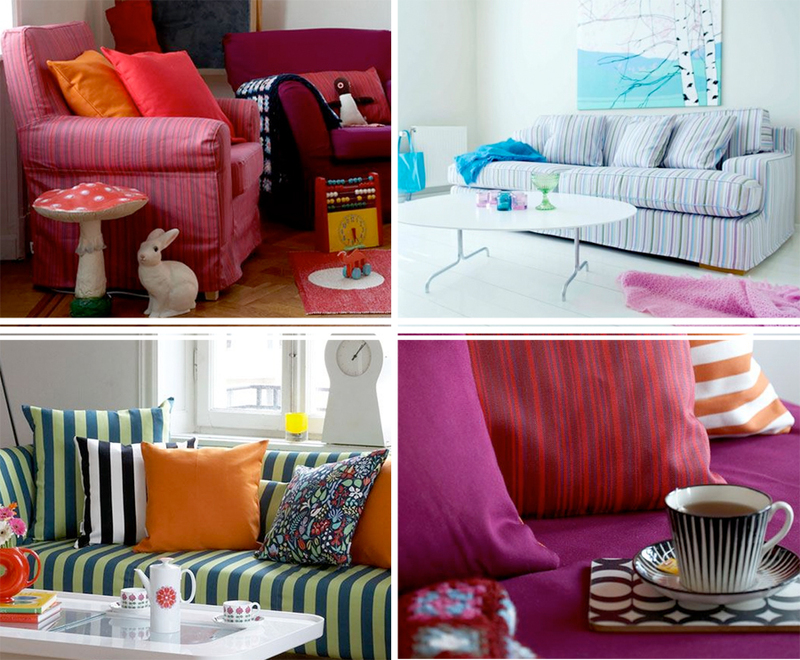 Red, green, orange, blue and black are combined with strong graphic patterns and bold horizontal and vertical stripes. 6. 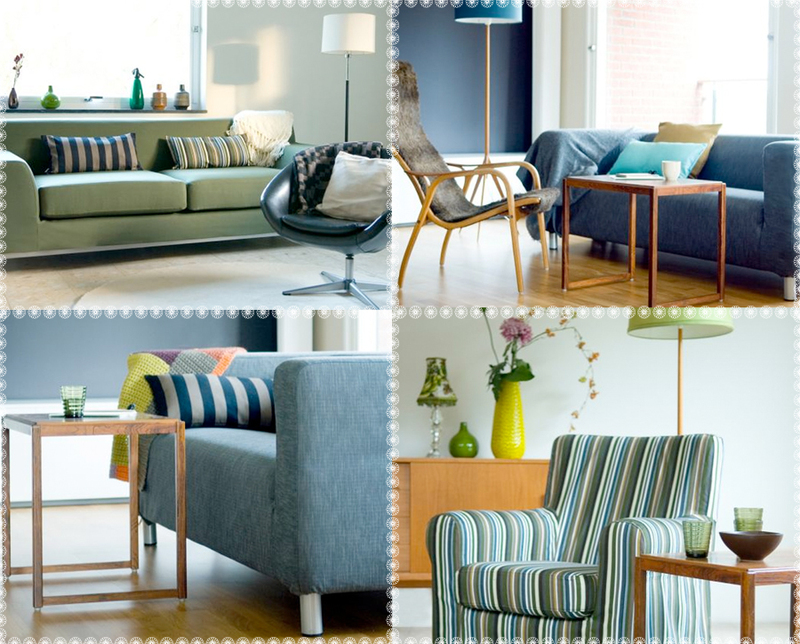 Swedish Grace - Features clean lines, natural shapes and understated tones, inspired by a legacy of classic 50s Scandinavian design.